Many rumors have swirled around the real identity of the most famous street artist in the world. Banksy however has chosen to remain anonymous since the beginning of his career and people all around the world are fixating on speculating about who he is. A bit excessive, don’t you think? According to Fusion the results were then cross-referenced with the personal information of Robin Gunningham. The analysis shows that Gunningham is the most like canditate for the real Banksy, as Banksy’s artworks cluster around Gunningham’s former addresses. Gunningham is no stranger to the art of graffiti, even though little is known about his life. According to his Daily Mail profile, he was born in Bristol in 1973 and grew up in the city. He moved to Hackney in 2000, about the same time that Banksy rose to fame with his first unofficial exhibition, in a tunnel in Shoreditch. What do you think? 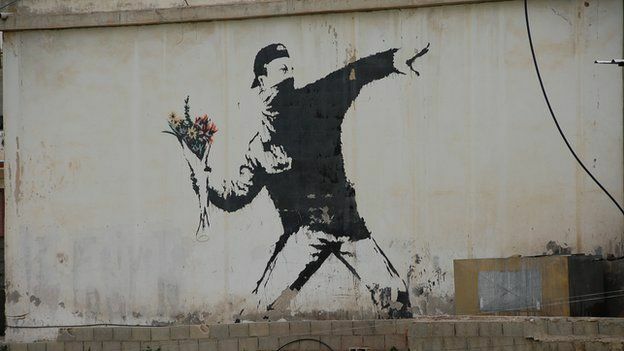 Are the clues enough to give us the real Banksy?